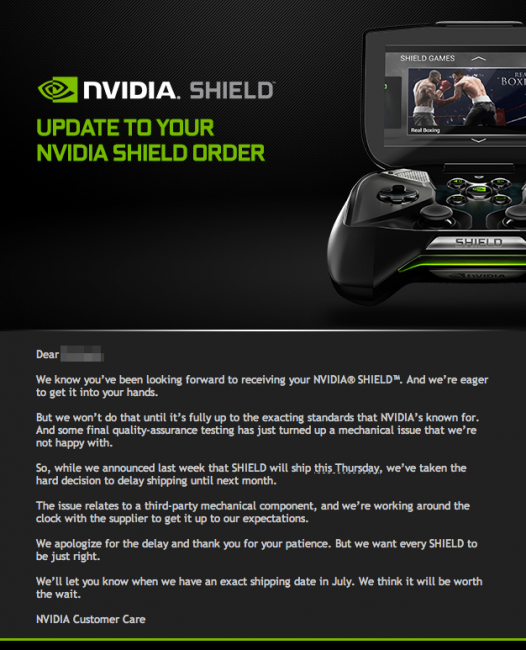 I am still undecided on whether or not I will be picking up the NVIDIA Shield. It looks to be an amazing device with its high res screen, awesome console like controls, and ability to play tons and tons of games. It is priced to sell too at $299. If you are one of those who decided to preorder you probably already know by now that the launch has been delayed. The device should still be in your hands by the end of next month. I would rather see a pristine non buggy device a month later how about you guys?